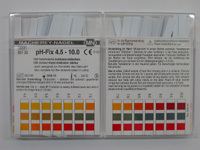 Macherey Nagel phosphate test strips. 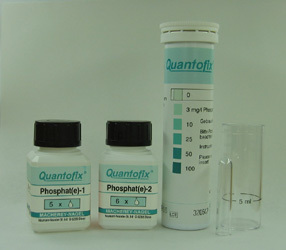 Range 0 - 100 mg/l phosphate. Gradation 0 - 3 - 10 - 25 - 50 - 100. 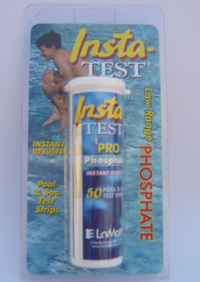 These strips are suitable for measuring phosphate in soils and hydroponics solutions. 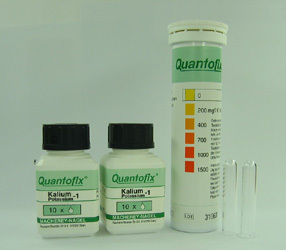 Pack includes 100 test strips and reagents. 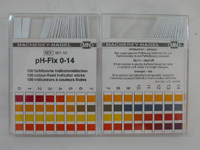 To find out how to use these strips to measure nutrients in soils see rapid soil tests.